Super Rare Games has revealed that it will be bringing a physical version of N++ to Nintendo Switch. The game will go on sale on 15th November. Despite only forming in February of this year, Super Rare Games has become one of the leading publishers for physical indie games on Switch. We've recently seen the likes of Worms: W.M.D and Snake Pass arrive in physical form, too, with N++ being the latest addition to Super Rare's lineup. The game actually arrives under the name of 'N++: Ultimate Edition', acting as the "definitive" version of the game and including 4,340 handcrafted levels, a level editor with global level-sharing functionality, four-player local co-op, 63 tracks from top electronic artists, and 119 colour palettes to customise the game’s look. The Super Rare edition will also include a 16-page, full-colour manual designed by Metanet Software, a reversible cover, an exclusive sticker, as well as three trading cards randomly selected from its five-card set. You'll be able to order your copy directly from Super Rare Games' website from the 15th November for $34.99 / £29.99 / €33.99. Do you collect physical copies of indie games on Switch? Will this one be going on your shelf? Let us know below. This game brings me back to when flash games were awesome. Some of them anyway. This is going to be worth £1000s one day. £1000s I tell you! I couldn't care less for the added stickers, trading cards 'n' useless (insert final insult). I do fancy the game though and will probably buy it. What's cool about SuperRareGames opposed to LimitedRunGames is that they don't take forever to get the games out the door. I wonder if I will contract cataract before I see anything from the latter. Not fo no damn $35 !!! $10 at most, but asking $35 ??? THAT TAKES BALLS OF PURE TUNGSTEN BABY, LOL !!! It can not be done for less if every party involved is to make a profit. Therefore games released through these channels will always be more expensive. @Aneira same here interesting game but I am on fence on the cards now. I might get a 5 set but that will be all. Very curious what the official source for this news is, as this release date isn't listed on their website or on their Twitter account. As for the game itself, going by the trailer I'm not really sold on it, but it seems to have rave reviews for whatever reason. The trailer probably makes the gameplay look more confusing than it is by having it constantly reversing or slowing the motion. I already own this game on the PS4, and have yet to play it, so doubt I’ll be double dipping. Alright, here's a quiz for you. A: Selling 100 games at a small profit per each game sold? B: Selling 10.000 games at a loss of profit per each game sold? what's the difference between the physical edition for $35 and the digital edition for $15? you mean B = 150,000? Considering what Aneira is assuming (Manufacturing cost more than 15 dollars per game). I don't see how you don't understand his comment. 150,000 = 0 profit is what he is saying. Although I myself don't believe it cost more than 15 dollars to manufacture a game. @RupeeClock We've spoken to Super Rare Games directly. The game will start to appear on their site soon. good to see you hovering around here. That's cool, I had to figure something was due soon, because they just released Snake Pass, beyond the initial pre-orders window. What I'm currently looking forward to from them is the Fairune Collection, I hear they're good games. Ohh dear. That smoking gun on the floor. Did you just shoot yourself in the foot with that? Remember how many must share a piece of the profit for this thing to happen. Nintendo would want some dime after expenses for manufacturing is accounted for. SuperRareGames would want some dime as well. Then there's the developer and god knows who else might have contract for some coin on trademarks etc. I am still keeping the collection complete but to continue paying €30+ for games i dont actually like or wanne play hurts. Also worth pointing out that the manufacturing process is not solely the game cartridges from Nintendo, but will also include printed artwork for the game cases, the game cases themselves, printed instruction manuals, trading cards, stickers. Super Rare Games will probably already have their own suppliers for the little extras not part of a standard Switch game + box. I have to have the physical edition of this. now the if tried to sell their Wal-Mart Roadmaster for $350 which would you rather buy ??? @Nemodius - Keep in mind that there are only 4000 copies, and they will sell them all because of so little copies and once the people get the game......look on Ebay and you will see Scalper prices of the game selling it for MORE! Happens to all games with a limited run. I would imagine they'll have a lot of those around for a long time. A game i cannot imagine anyone wanting as a physical. Have you considered that the manufacturing costs have an overhead because they are provided by a supplier contracted by Super Rare Games, and that they may have more than a single supplier? There's also the share of profits that is divided between the staff at Super Rare Games, and that go towards the company itself for continued operations. Some games at Super Rare Games remain in stock for a long time, others sell out pretty quickly. Worms W.M.D. is definitely their fastest selling title so far. Snake Pass may also sell out fairly quickly, but they still have stock since it's release yesterday. @Nemodius yikes. I guess not everyone is cut out for basic economics. @SARankDirector @RupeeClock ONE IS DIGITAL THE OTHER IS PHYSICAL. This game is fantastic... the physics just feel so perfect. It was the first game I bought when I got my PS4 a couple years back. I don't care about owning physical games, though, so this isn't for me. @Nemodius - You really should look up the price of limited run games (any limited run game company) and digital games, because all the prices for the digital version is less or way less then the limited run games. 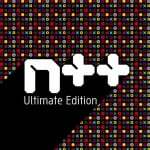 For N++ it is $14.99 US for digital. Plan to get it when it releases.